Do Allergic Reactions to Cannabis Happen? People can develop common allergies to prescription medications, food, plants, or trees, but many people never consider an allergy to cannabis. Allergic reactions to cannabis were first reported approximately 40 years ago, but only a few studies have addressed the issue. One study published in 2013 concluded that sensitivity to Cannabis sativa was more prevalent, but the typical symptoms were mild and uncommon. Higher occurrences were connected to other plants through cross-reactivity. Common cannabis allergy symptoms are itchy eyes, sinus inflammation, sneezing, congestion, and wheezing. Severe allergic reactions may cause throat swelling, hives, or rashes. The plants’ effects themselves may cause complications that only compound the problem such as nasal drainage, itchy skin, red eyes, sinus issues, and migraines. Cannabis allergies may be caused by pollen, terpenes, or other irritants such as cannabis smoke. When male cannabis plants pollinate, they produce vast amounts of pollen. People can become sensitized when regularly exposed to a plant’s pollen. Allergies associated with cannabis use share many of the same symptoms and signs of traditional allergies. One likely reason is that some cannabis allergies result from the plant’s essential oils or terpenes, fragrant molecules present in many plants. They are vital for protecting plants from insects and environmental stressors, and also serve as building blocks for the creation of complex molecules. A terpene allergy from one plant may cause cross-reactivity to the same terpene in cannabis. Molds and resins can be vectors for hypersensitivity when considering sinsemilla because of its high concentrations of terpenes. Overexposure to essential oils like terpenes can lead to allergic responses as a result. Hypersensitivity may last indefinitely, keeping someone from utilizing cannabis for therapeutic benefits. Desensitization has proven successful in counteracting terpene allergies in patients. Physicians use the Miller serial dilution technique by gathering leaves, vegetables, and flowers and soaking them in either a Coca’s solution or saline solution to draw out the active chemicals. Other allergy treatments include antihistamine medication or natural allergy remedies like nasal irrigation, butterbur, or quercetin. 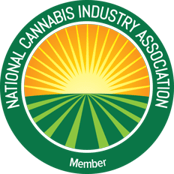 This entry was posted in Cannabis Industry, Cannabis Topics and tagged cannabis allergies, cannabis allergy, marijuana allergies, marijuana allergy.